It has been a decade since one of the most unlikely successes in music history was released. O Brother, Where Art Thou? is one of the 10 top-selling soundtracks of all time (according to the RIAA), the No. 1-selling soundtrack and the 17th biggest album of the 21st Century, with more than nine million albums sold. 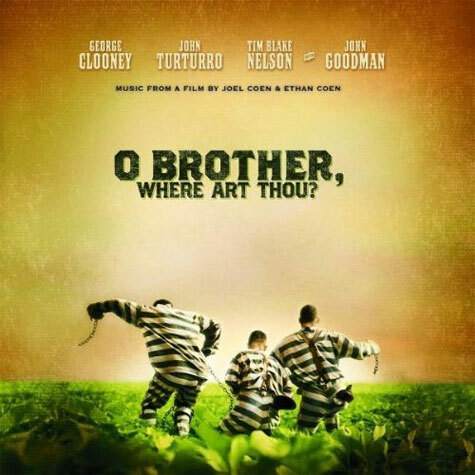 On August 29, Universal will celebrate this 10th Anniversary with an expanded two-CD set, O Brother, Where Art Thou? – Deluxe Edition, with legendary original producer T Bone Burnett personally involved in all aspects of this release. Produced by 12-time GRAMMY® Award- and Academy Award-winner T Bone Burnett, the original O Brother, Where Art Thou? soundtrack from the 2000 film — written, directed and produced by the Coen Brothers and starring George Clooney — shot to No.1 on the Billboard Top 200 and Country charts and became a bona fide music phenomenon, despite scant radio airplay. Along with 'Album of the Year' honors, the album won GRAMMYs® for I Am A Man Of Constant Sorrow performed by Dan Tyminski, Harley Allen and Pat Enright, and O Death by the legendary Dr. Ralph Stanley. The second disc of the O Brother, Where Art Thou? – Deluxe Edition features artists who appeared on the original album (John Hartford, Norman Blake, the Fairfield Four, the Cox Family and the Peasall Sisters) plus some who did not (Colin Linden, Alan O’Bryant, Ed Lewis and Van Dyke Parks). The disc’s previously recorded tracks are Tom Devil by Ed Lewis and the Prisoners, and I’ll Fly Away by the Kossoy Sisters. The music from O Brother, Where Art Thou? spawned an award-winning hit album and a groundbreaking Nashville concert. The resulting documentary film of that show, Down From The Mountain, led to another GRAMMY®-winning album and a sold-out U.S. tour. A decade later, this landmark album, alternate versions of many of its songs, and other recordings from the film have been brought together for the first time to introduce new fans to this great music and reward longtime fans with a new treasure trove of musical gems from the original sessions. For press information about O Brother, Where Art Thou? – Deluxe Edition, please contact James Parrish on 01223 505328 or email james@prescriptionpr.co.uk.